Is ur iphone keeps freezing or iphone 6 freezing, does it wont turn on or appears black, i have faced this issue on my new iphone 6, i have brought it before some months and now my iphone 6 keeps freezing, was i haven’t updated my device too. Usually my iphone 6 locked up and phone keeps freezing iphone 6. Are you experiencing the same issue??? All the iphones now a days are getting some type of issues like iphone 6 wont turn on or its screen becomes black. Generally if there are any type of issues with the iphone then we automatically go to the service centers and ask for them, but these apple devices costs more for any type of issues, so before hurry up you can have a glance on what type of issue is your iphone facing and then if possible you can only solve it with out any error. 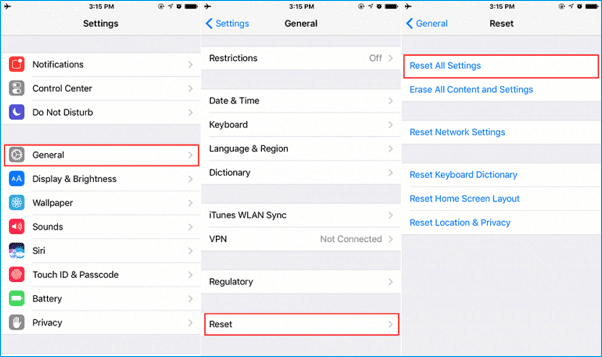 If your iphone 6 keeps freezing then you can soft reset your device. This iphone 6 screen freezes when you update your device to the newer ios updates or else if you have update the itunes or icloud on your iphone. 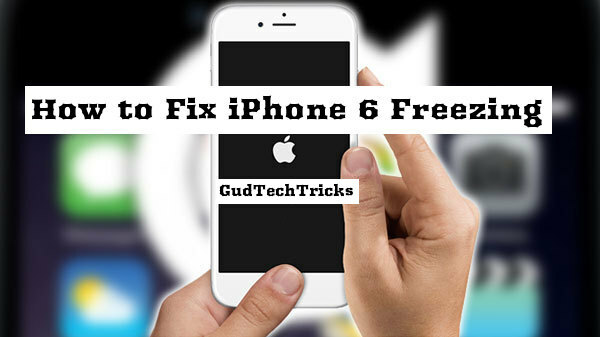 You can simply follow the below article and can fix the issue of iphone 6 freezes and screen works as usual. Mean you can see if your iphone 6 home button not working. In case if you have backed up the data on your iphone to icloud or itunes or else if you have updated the ios usually these problems may arise. Now follow the below steps and fix iphone 6 freezing issue. First you need to perform a soft reset. This will simply restart your iphone and doesn’t erase any of the data on your device. Now press and hold home screen button and power key for 5 sec. Release the buttons and you can notice the apple logo on your iphone screen and your device will restart now. This will work for most of the users, if not then you have to reset all the settings. This will erase all the data on your iphone. Erases touch id, wallpaper, passwords etc, but your photos and videos will be on safe side. Go to home screen menu and click on settings. Click on Reset All settings. This will take a few minutes and your device will work as usual. If not then you have to go to the next step, that is you need to factory reset your iphone, this will become as a new device when you bought it. It will remove all the settings, data and erases every thing. Note: Before Going to factory reset your device, take a back up of it. 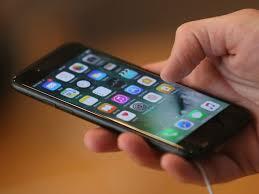 First back up all the data on your iphone 6. Now go to home screen menu and click on settings. Now choose Erase all content and settings. Here a dialogue box appears with a warning option to erase iphone data. Enter the Apple ID to confirm the settings. Now your iphone will clear all the data and it will go back to the initial state as first when your brought it. All this will provide you as a new smartphone and you need to restore your data with the icloud backup or itunes backup. Once you are at this stage you need to accept the apple’s terms and conditions and your iphone will begin restoring all the data. This will take some few minutes and then your apple logo turn on and you can see the home screen. The factory reset will make the device to its initial state so that your issue of iphones freezing up will be solved and it will not come again. In case if your iphone 6 keeps freezing and crashing then it may may occur due to the installation of third party apps also. If your device is temporarily disabled then you need to delete the faulty app and then reboot your device, so that it will be back again. There is also the other way that in case if you have installed the recent apps menu then that will cause the freezing of iphone 6. So its better to delete the recently installed apps. This is one of the most common issue that is arising with many of the ios devices, some times because of the cellular network issues your device will get strucked. In that case go to setting >> Cellular >> Data >> ON/OFF. Once you turn off first reboot your iphone 6 and then once the device is switched on then again turn the cellular data ON. This error mainly occurs due to network issues. With this you can fix iphone 6 freezing issues. Hope the issue of my iphone keeps freezing will be sorted out and can be solved using this guide. If your iphone 6 screen freeze you need to follow all the instructions that are provided in this article and you can simple solve the issue without any damage to your iphone 6. If you have any queries regarding iphone 6 freezing you can simply contact us using the comment box below. Visit Gud tech tricks for more information.